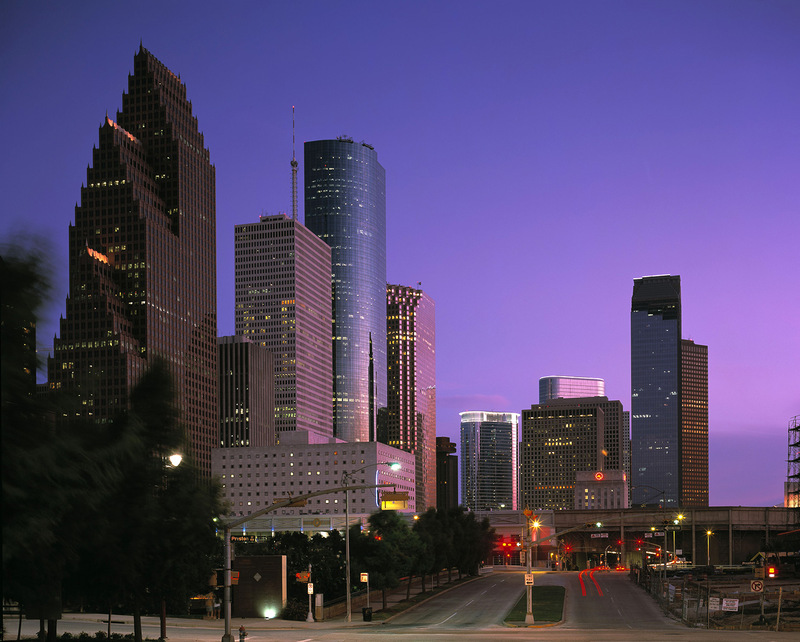 The tower is one of the icons of the Houston skyline, as it stands out not only for its appearance, but its stance. 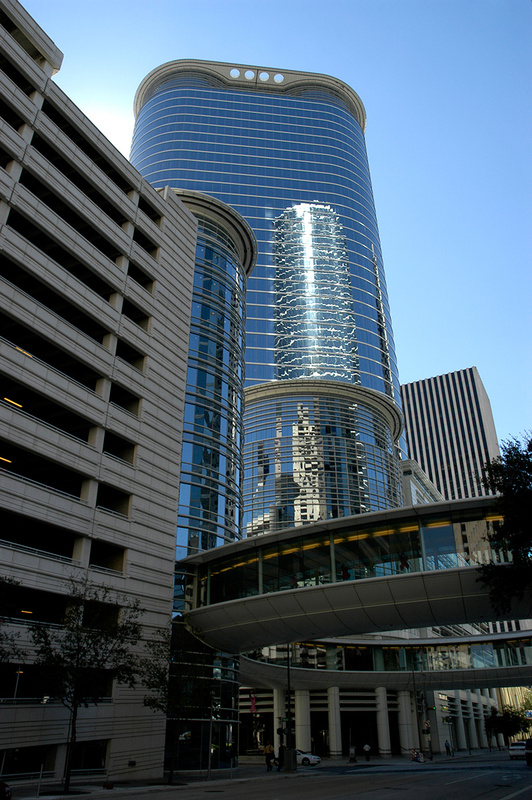 Unlike the surrounding buildings, it rotates off Houston’s downtown grid. 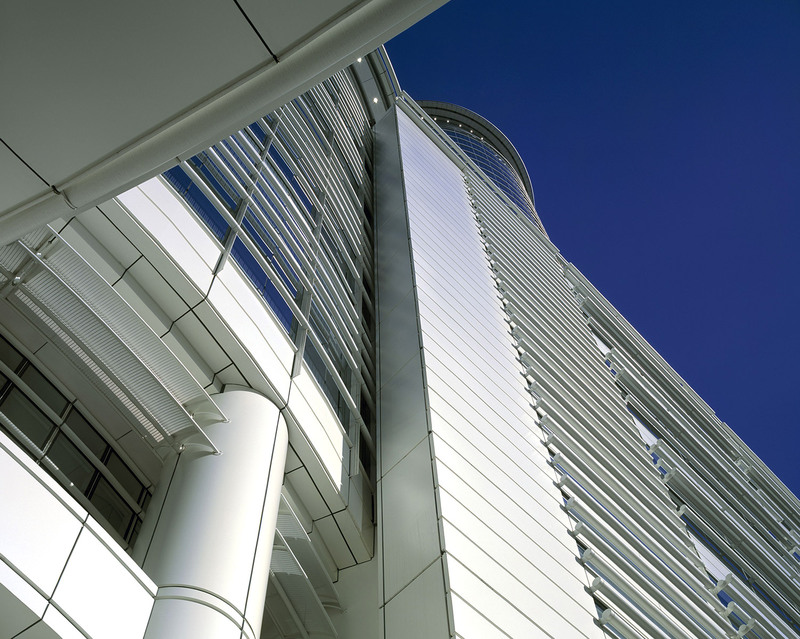 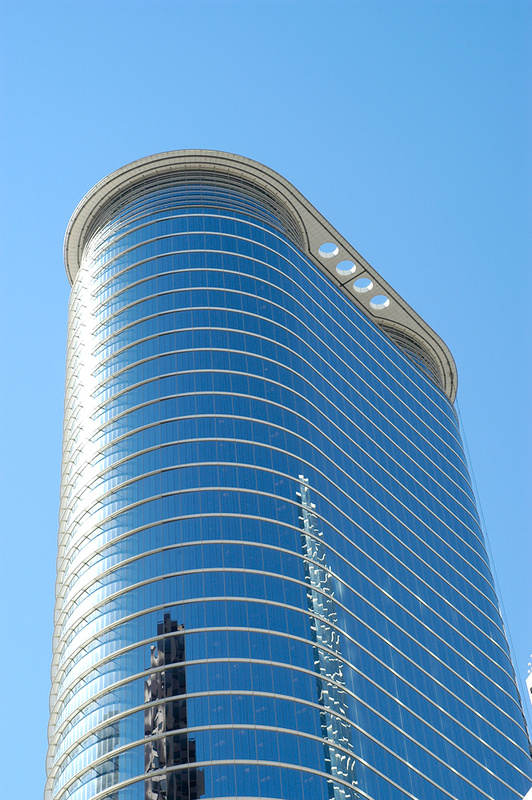 The tower’s lozenge shape and orientation complement Enron Center North to create a unique urban campus. 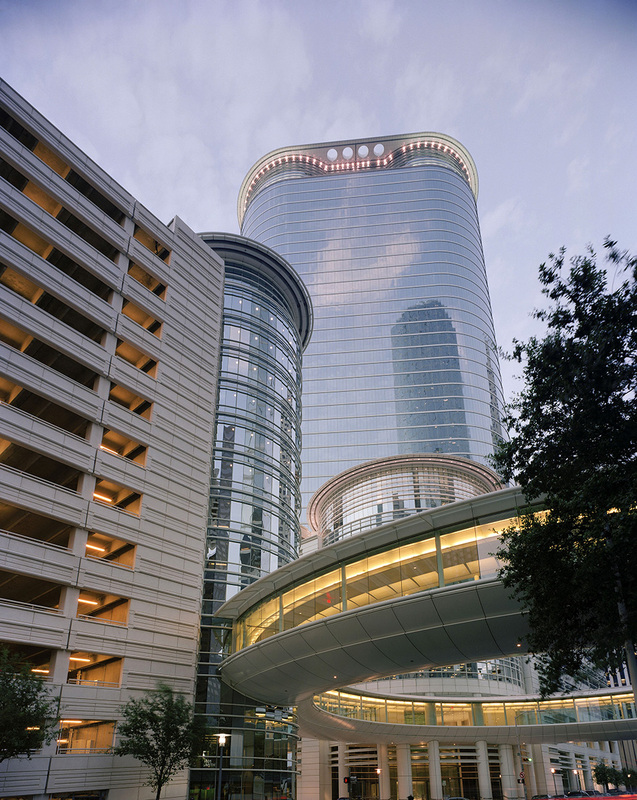 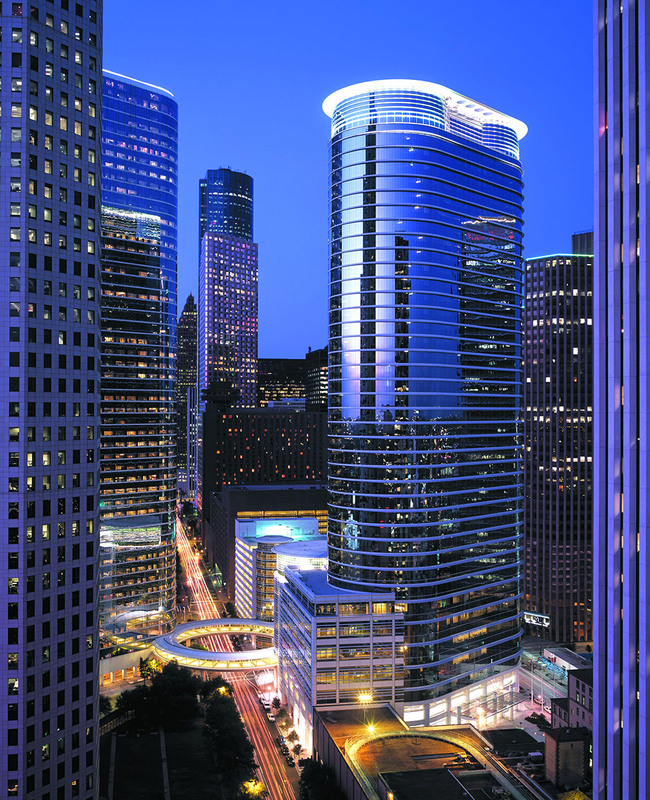 One of the most recognizable images associated with Houston is the distinctive circular pedestrian bridge over the intersection of Smith and Bell Streets that connects the 1500 Louisiana building to the existing north building and new parking structure. 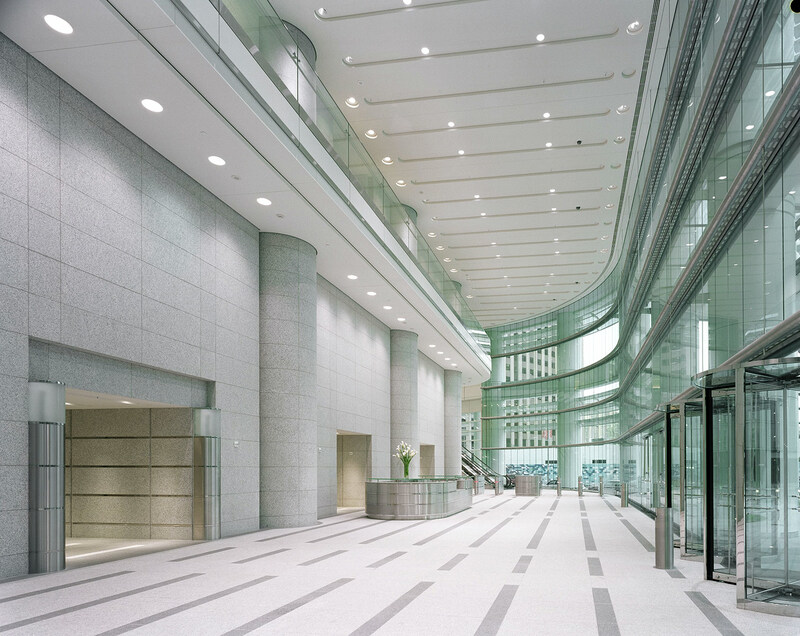 The building provides four levels of large-floor plate trading floors, a data center, flexible office floors, a cafeteria and other amenities for a major corporation. 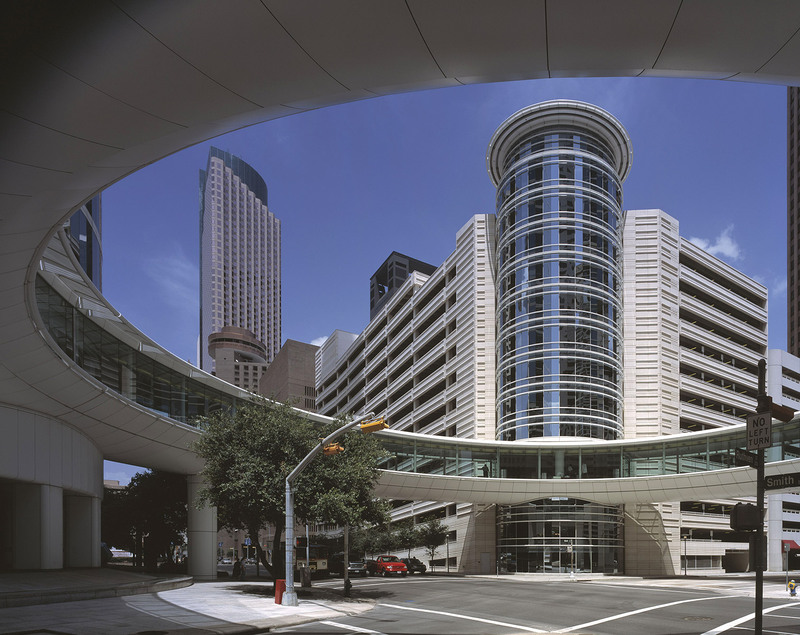 Parking for 1,140 cars is provided in a new parking structure connected to the two office towers by tunnel and bridge. 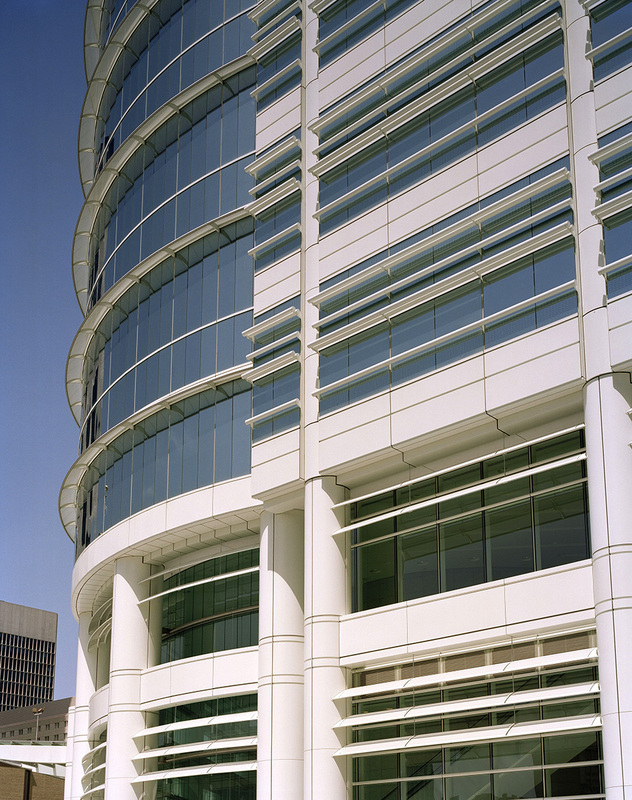 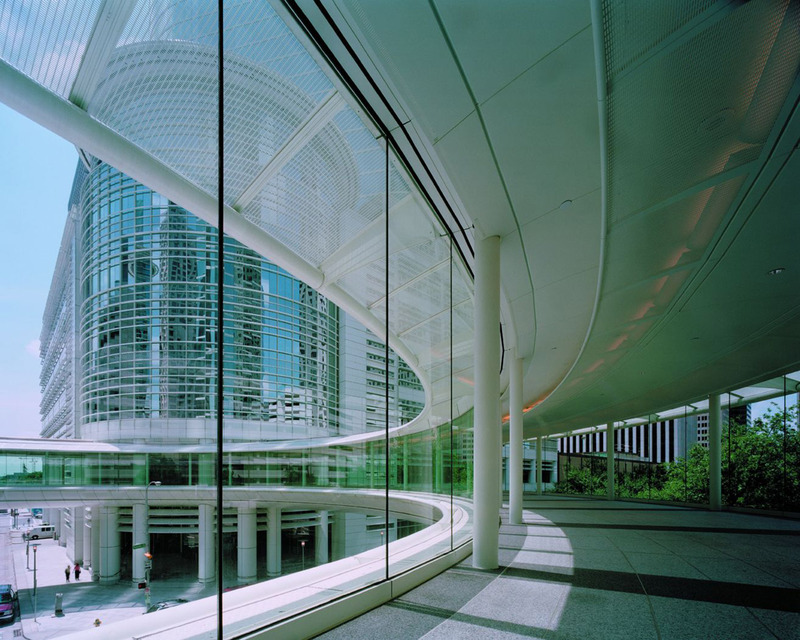 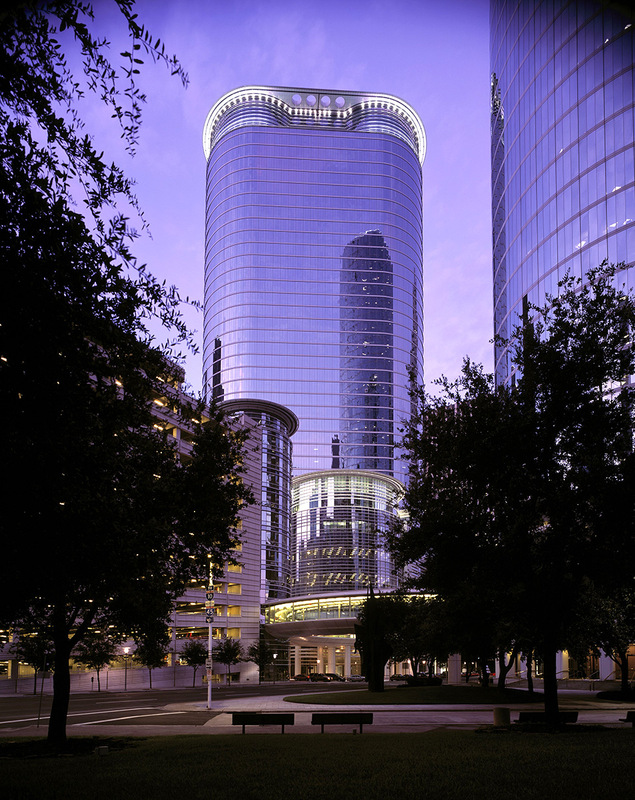 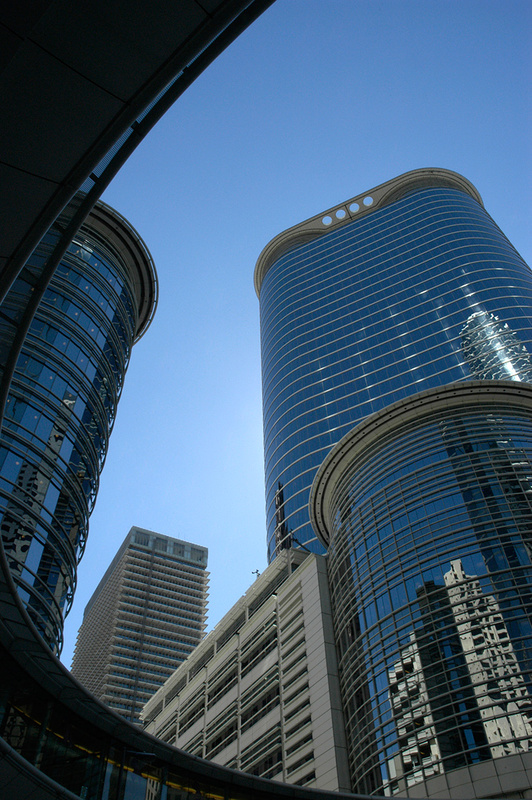 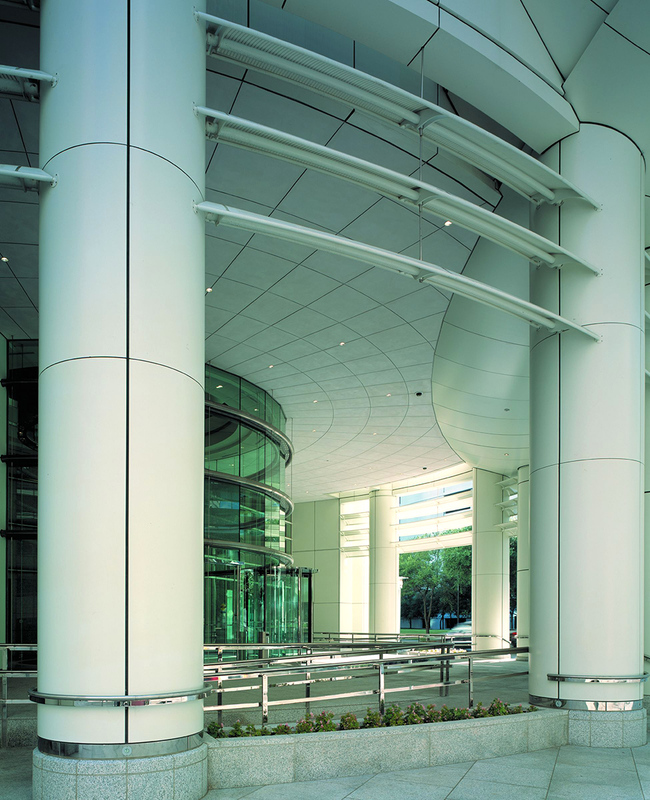 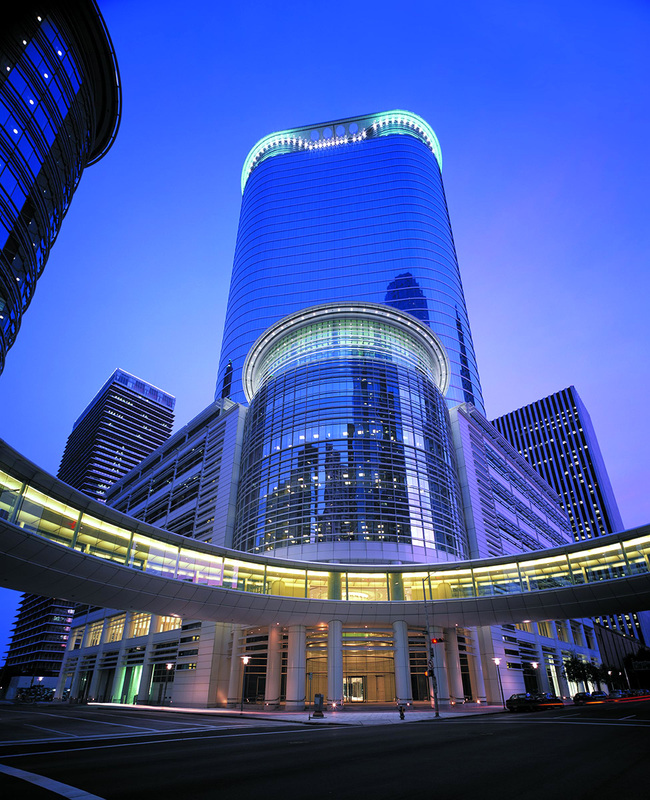 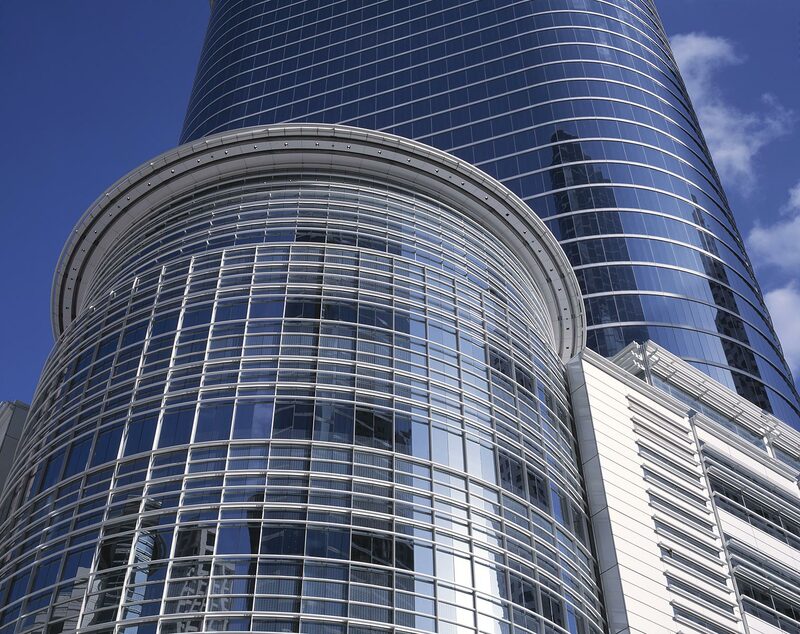 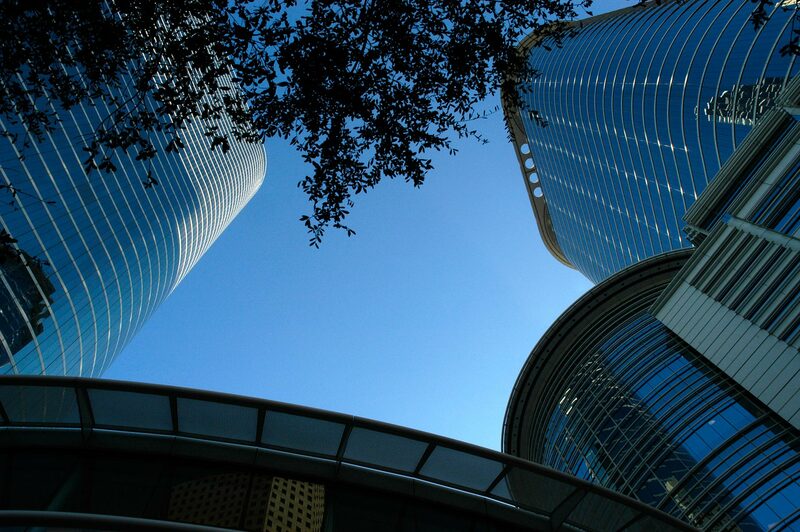 Originally designed and constructed for Enron, the building is now owned and occupied by Chevron.